Something about St. Francis is universally appealing. His humility, his simplicity, his faith, all of these touch what is most human and most holy about life. That is why this figure of St. Francis is so popular among carvers and collectors alike. Helen Gibson has been carving this figure for years, and now shares her techniques with other carvers. 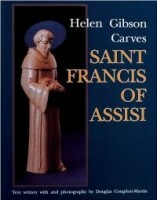 A master carver and sought after teacher, Helen offers clear step-by-step instructions for the carving of St. Francis. As in her two nativity carving books, each step is illustrated with accurate color photographs to provided a visual reference to the carving. This new book will delight all carvers, novice or professional, providing them with new challenges while helping them move easily through the carving to a product of which they can be proud. 100’s of step by step photos on carving and painting techniques show you how to carve your own handcrafted masterpiece. 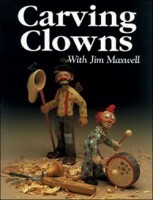 Ready-to-use patterns for twelve different clowns from throughout the ages are included.